Pathological changes in the outflow tract of the left ventricle have a profound effect on coronary haemodynamics. This is evident as the production of myocardial ischaemia with worsening aortic valve disease, clinically represented as the onset of symptoms in advancing states. However, using modern investigative techniques, it is possible to classify the degree of ischaemia through more continuous scales to provide a more detailed quantification of the impact of aortic valve pathology and therefore a detailed insight into the mechanism by which they affect coronary haemodynamics. Aortic stenosis in particular leads to a disruption of normal coronary haemodynamics through two mechanisms. Firstly, there is an increasing force of ventricular contraction that is necessary to expel blood through a progressively increasing outflow tract obstruction. Secondly, the ventricle is inevitably forced to adapt through hypertrophic changes. These two features both have a significant influence on coronary haemodynamics and are the ultimate cause of myocardial ischaemia. Their effects on coronary physiology are complex, interacting and potentially oppositional. Delineating their representative contributions to the pathophysiology of this condition is therefore difficult but essential, initially for understanding the mechanistic processes involved but ultimately for providing bespoke and detailed patient risk stratification. The search for an appropriate tool to quantify the impact of these changes on coronary haemodynamics is long-standing. However, as many techniques are time-consuming or invasive, their employment is often limited, impairing our ability to understand the serial, continuous nature of this disease. Additionally, the complex interaction between left ventricular hypertrophy and outflow tract obstruction makes our recognition of the resultant measure fraught. 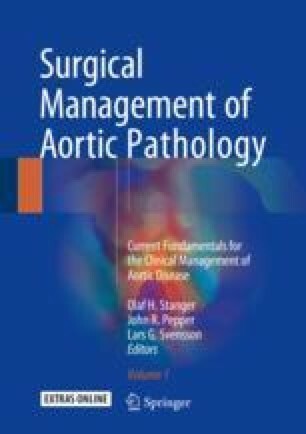 However, as contemporary investigative approaches emerge that can document the interplay between aorta and myocardium in detail, it may ultimately be possible to separate out the pathophysiological effects of aortic stenosis to provide an accurate quantification of the burden imposed by aortic stenosis with the goal of therapeutic guidance. To that end this chapter is used to detail the evidence for microvascular dysfunction and coronary haemodynamic disturbance in aortic stenosis. We go on to discuss the potential causes for these abnormalities and highlight those investigative modalities that may prove useful in the future for disease assessment.